If you need to report a missing, abducted or endangered child, please call 9-1-1 immediately. You may also contact the National Center for Missing and Exploited Children at 1-800-THE-LOST for assistance. We cannot take missing child reports or inquiries via this website. To search for or find information about current missing children, visit www.missingkids.org. Do you work with AMBER Alert or Child Protection in Indian Country? Learn more about our AMBER Partners Network and our secure partners portal for collaboration with other AMBER Alert Partners in Indian Country and across the United States. Learn more about the resources that are available to our partners in the AMBER Alert in Indian Country Network. Find useful information including videos, downloadable PDFs and other valuable resources. 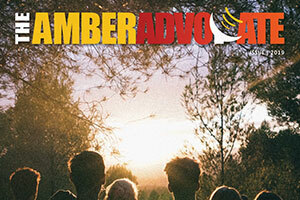 The most recent AMBERAdvocate Newsletter is available for download. The recent issue and several archived issues feature important AMBER Alert in Indian Country news and updates. Highlights from the 2019 National AMBER Alert Symposium! 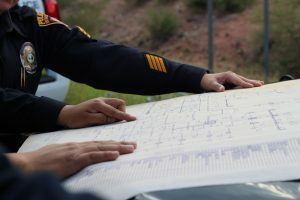 The AMBER Alert Training and Technical Assistance Program, through its AMBER Alert in Indian Country Initiative, recently exhibited at the National Indian Child Welfare Association's 37th Annual Protecting our Children Conference. As part of this conference, AATTAP-NCJTC Associates Pamela Foster and Valaura Imus-Nahsonhoya also presented. AMBER Alert in Indian Country shared a post. Ohio Law Enforcement: NO FEE training headed your way in September 2019, and registration is OPEN! Child Abduction Response Team (CART) trainingOhio Law Enforcement: NO FEE training headed your way in September 2019, and registration is OPEN! 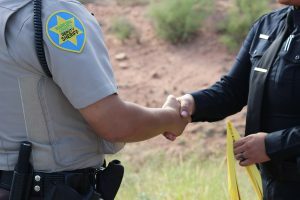 The AMBER Alert in Indian Country Website provides integrated, ‘one-stop’ access to training, technical assistance and child protection resources for Tribal law enforcement, public safety professionals and others in the community working with issues surrounding endangered, missing and abducted children. This resource was prepared under Cooperative Agreement number 2017-MC-FX-K003 from the Office of Juvenile Justice and Delinquency Prevention (OJJDP), U.S. Department of Justice. Points of view or opinions expressed in this document are those of the authors and do not necessarily represent the official position or policies of OJJDP or the U.S. Department of Justice.